Support Pride II on #GivingTuesday! We have a day for giving thanks. We have two for getting deals. Now, we have #GivingTuesday, a global day dedicated to giving back. On Tuesday, December 1, 2015, charities, families, businesses, community centers, and students around the world are uniting together for one common purpose: to celebrate generosity and to give. 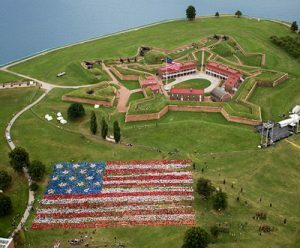 Throughout the course of each year, Pride, Inc. strives to promote historical maritime education, foster economic development and tourism, and represent the people of Maryland in every port she visits. Pride Inc. relies primarily on individual philanthropy, grants, corporate sponsorships, and membership to bridge the gap in funding each year. A gift on #GivingTuesday will directly support Pride’s educational programming, sailing opportunities, and ship operations in 2016. Click on the Donate button below to show your support. We thank you sincerely! Donate $50 or more and receive a Pride of Baltimore II poster signed by one of our captains! In a hundred-year-old warehouse in central Baltimore, master woodworker Dale German is hard at work. Bent over an electric lathe and surrounded by an aromatic mound of wood chips, he chisels a block of mahogany into a rounded handle of an oyster knife. Next he carefully adds a heated knife blade, emblazoned with letters. The knife, one of only 500, is part of a project commissioned by the Oyster Recovery Project and Pride of Baltimore, Inc. in an effort to raise funds to support Chesapeake Bay restoration and preserve its rich maritime history. Each knife handle is carved from tropical hardwood that was left over after the construction of Pride II in 1988. The knives are being crafted in an extremely small quantity over a limited timeframe. 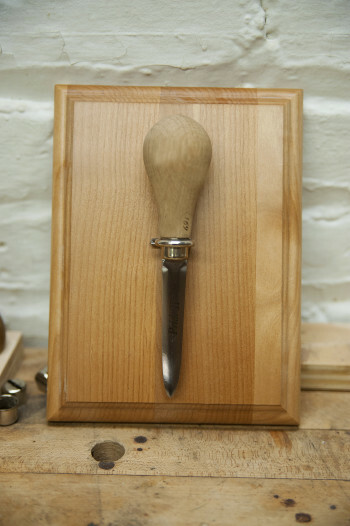 The knives can be pre-ordered through the Oyster Recovery Partnership’s website. Orders placed by December 18 will ship in time for the holiday season: click here for complete details. 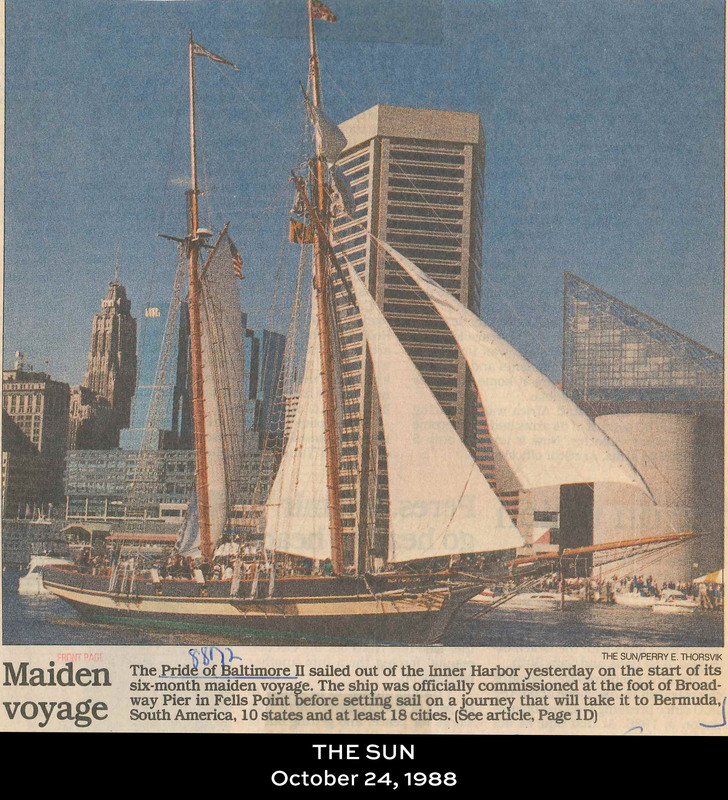 Throughout her storied history, hundreds of thousands of people have come aboard, gone for a sail or participated in an educational program aboard Pride of Baltimore II. Now, through this innovative project spearheaded by the Oyster Recovery Partnership, you can own a keepsake piece of Pride II herself — and support environmental efforts and Pride II at the same time. Each knife handle is carved from timbers of bullet tree and mahogany, used in framing Pride II‘s hull and as trim on deck structures. The wood has been preserved in climate-controlled conditions since Pride II was built in 1988. Each laser-engraved knife comes with a certificate of authenticity and matching number from 001 to 500. Oysters play a vital role in improving Chesapeake Bay water quality by creating a habitat for a multitude of marine life, including the Blue Crab and Striped Bass. The Oyster Recovery Partnership (ORP) was established to help manage and implement Maryland’s oyster restoration efforts. Over the last 21 years, the nonprofit has planted more than 5.9 billion oysters on 2,200 acres of oyster reefs in Maryland, including the largest man-made oyster reef in the country. ORP manages the region’s oyster shell recycling program and supports other sustainable fisheries management efforts. Once these limited-edition knives sell out, they’ll be gone forever. So order your piece of history today while they’re still available!